Employees from the Saskatoon Co-op have rejected an offer presented to them on Thursday. 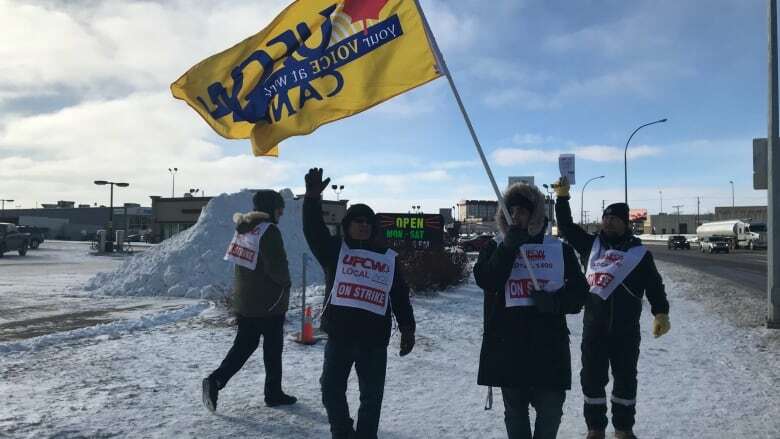 A now months-long strike by employees from Saskatoon Co-op will continue, after employees rejected an offer presented to them on Thursday. A news release from Saskatoon Co-op says 60 per cent of the union members who turned out voted against accepting the offer in a closed vote. They voted on the offer on Friday. "Without a doubt, we're disappointed that the offer wasn't accepted, but we see the vote as progress toward reaching an agreement," Grant Wicks, Saskatoon Co-op CEO, said in the late Friday news release. "Given how close the vote was, we're still optimistic that we can work with the union and our employees to reach an agreement," he said. Workers in United Food and Commercial Workers Local 1400 voted on Nov. 1 to strike over a proposed two-tiered wage structure. Under the proposal, current workers' wages and benefits would have stayed the same, while new employees would be hired under a different contract, with lower pay and benefits. The latest offer included changes to the two-tier wage structure, according to Co-op's news release. The revisions included fewer positions in the second tier and a higher wage for second-tier employees than in previous offers. CBC News has reached out to UFCW Local 1400 for comment.